Kraków or Cracow (German Krakau), city in southern Poland, capital of Kraków Province, on the Vistula River. 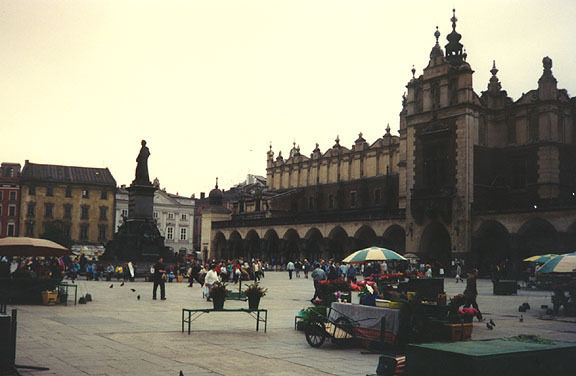 The city is an industrial, cultural, and educational center of southern Poland, and is the third largest city in the country. 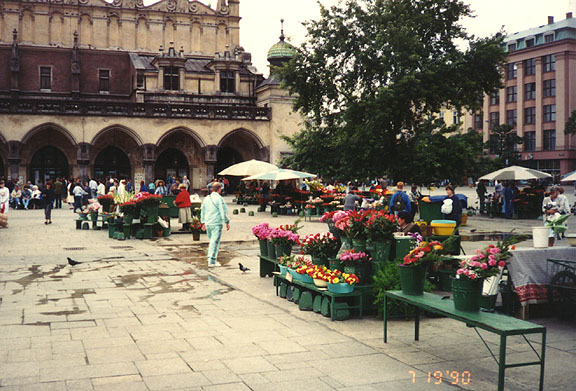 Kraków is also a leading center of trade in coal, zinc, salt, timber, cattle, agricultural products, and wine. The most important industry in the city is the production of iron and steel in the Nowa Huta plant, one of the largest industrial complexes in eastern Europe. Other industrial establishments include plants manufacturing machinery, agricultural implements, soap, and tobacco. A network of road and rail lines connects Kraków with Warsaw and other Polish cities and with Prague, in the Czech Republic. 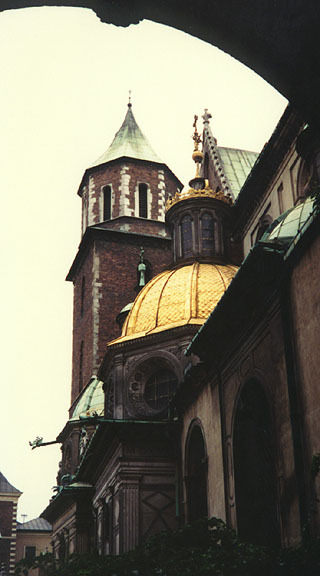 Kraków consists of an inner town and several suburbs; the inner town was surrounded by walls during the Middle Ages, but is now encircled by promenades. The city contains a large number of historic buildings. 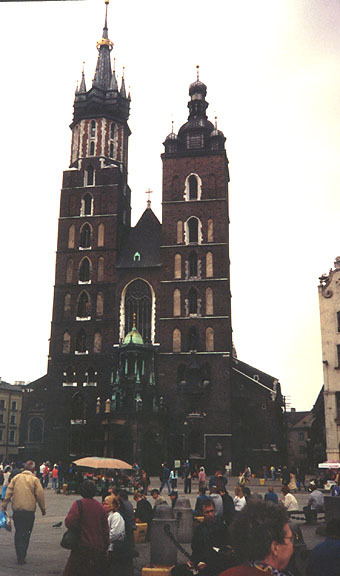 The most notable is the Gothic cathedral, consecrated in 1359 and dedicated to the memory of Saint Stanislas, the patron saint of Poland, who had been slain before the cathedral altar in 1079 by order of the Polish king. 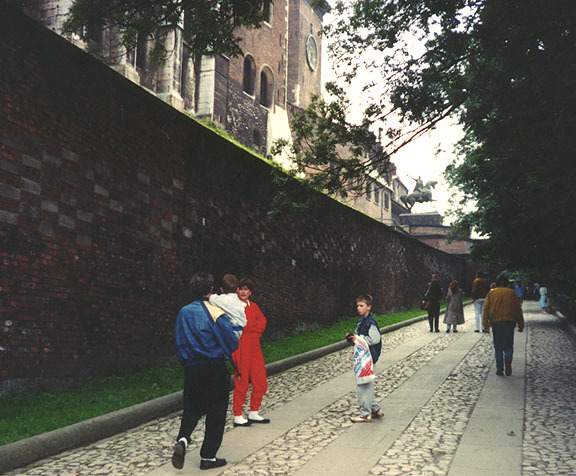 The cathedral was long the site of the coronation ceremonies of the kings of Poland and is the burial place of famous people in Polish history, including King Jan III Sobieski, the revolutionary patriot Tadeusz Koœciuszko, and the poet Adam Mickiewicz. 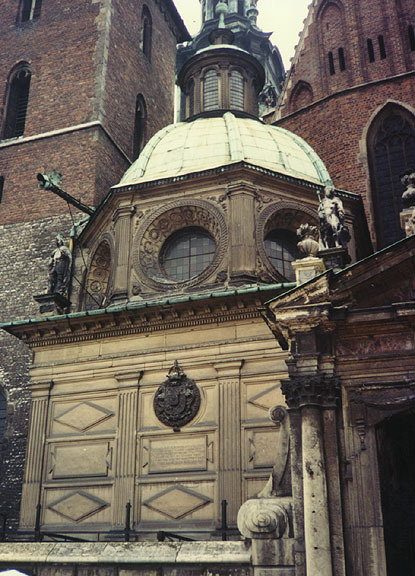 Other notable buildings are the Church of Saint Mary, a Gothic edifice dating from 1223, containing a celebrated altar executed by the German sculptor Veit Stoss, an outstanding artist of 14th-century Europe; and the Wawel Royal Castle, built in the early 16th century and established as a museum in 1930. A Gothic tower is all that remains of the medieval town hall. 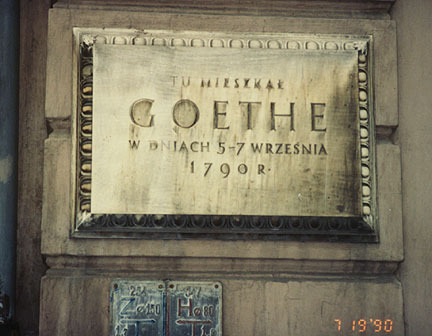 Among the important educational and cultural institutions in the city are the University (founded in 1364), Kraków Technical University (1945), several scientific institutes, and the National Museum (1862). 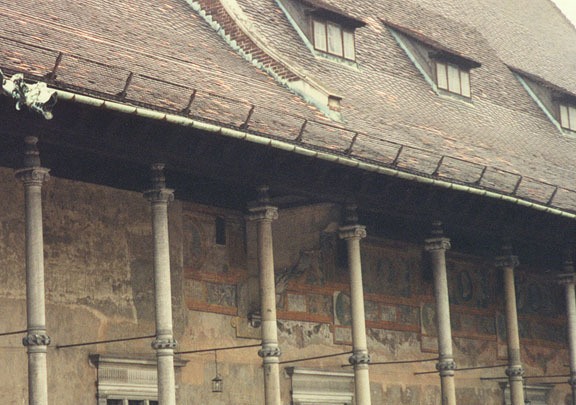 The origin of Kraków is unknown, but the city is believed to be one of the oldest in Poland. 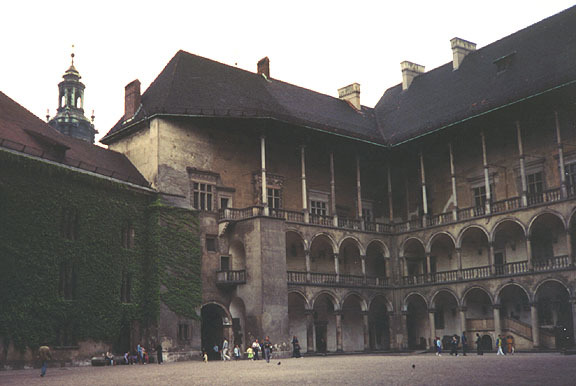 According to tradition, Kraków was founded as a fortress about AD700. In the 12th century it became the capital of the kingdom of Poland and an important commercial center. 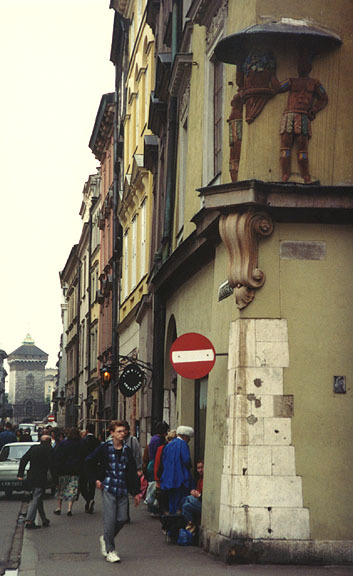 Tatar invaders of Europe sacked Kraków in 1241; German colonists later revived the city. In 1430 the city became a member of the Hanseatic League. 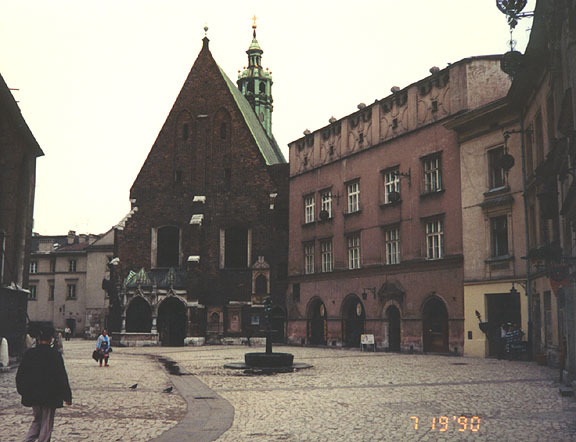 During the early part of the 17th century the capital of Poland was moved from Kraków to Warsaw. In 1794, during the French Revolution, Kraków was the center of a revolutionary uprising led by Tadeusz Koœciuszko, and in 1795 it was seized by Austria. Fourteen years later, Napoleon incorporated the city into the duchy of Warsaw. Following Napoleon's downfall, the Congress of Vienna in 1815 made Kraków the capital of the independent republic of Kraków. This republic was incorporated into Austria in 1846. In 1914, during World War I, the city was the scene of heavy fighting between Austro-German and Russian forces. After the war Kraków once more became a Polish city. 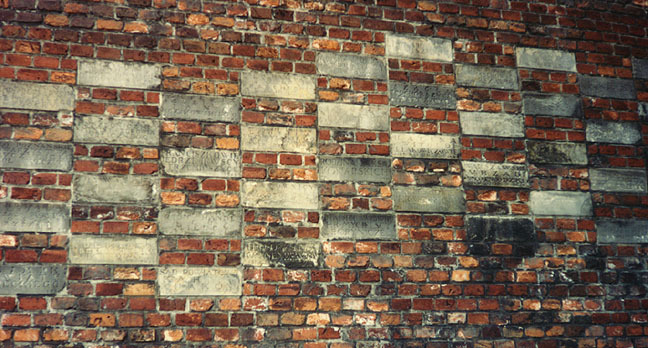 During World War II it was occupied by the Germans from 1939 until 1945, when it was taken by Soviet troops. Population (1997 estimate) 740,500.